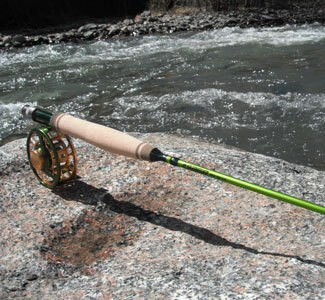 Dan’s Stream Master Four Piece Rod Special is an all IM-6 graphite four piece rod. 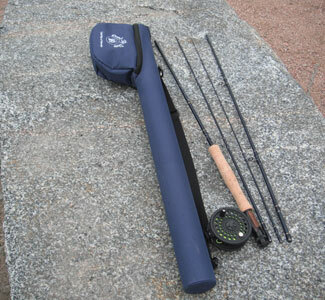 The blank is a deep blue hue with coordinating custom wraps and wood reel seat with metal hardware. 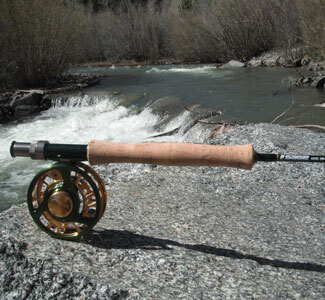 The reel is a Scientific Anglers graphite fly reel loaded with a 5 weight line. 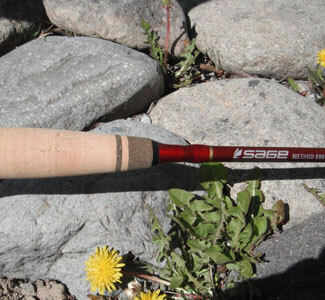 The rod comes in either an 8 1/2′ or 9′ length. The travel case is included. 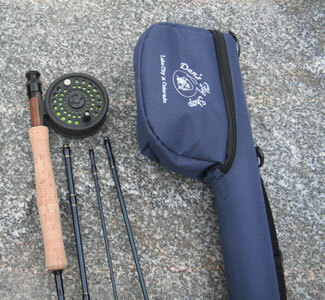 Wonderful for a novice fisherman but equally fine for the more advanced.